Suzuki Swift Cup is on the second year and it will take place in 2009 in Britain. 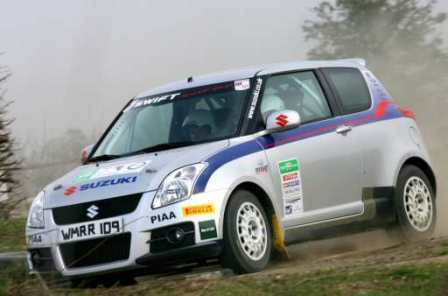 Interesting in this competition is that pilots will be able to participate in all the races, only Suzuki Swift Sport Cup and the transport and technical support throughout the competition will be ensured throughout the Suzuki. The competition has 6 circuits, and will continue with 5 more rounds in the MSA British Rally Championship. The one that will go out first in the series will go home with a Suzuki Swift Sport and will be able to do some “practice” at the famous school Haugland Winter Rally in Norway.